Cow Facts | Cool Kid Facts . Cows are best known for the the delicious things they provide, such as milk, dairy products, and meat. They are most often seen on farms (Old McDonald, anyone?) and give a loud “moo”! Although these animals may seem familiar, there are many things about them that you might not know. 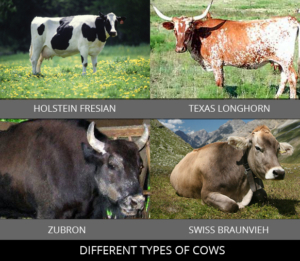 Continue reading to find out interesting facts about cows. 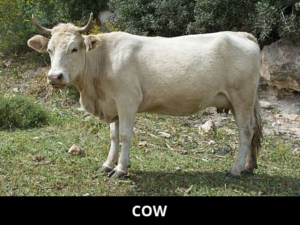 What are the different names for cows? 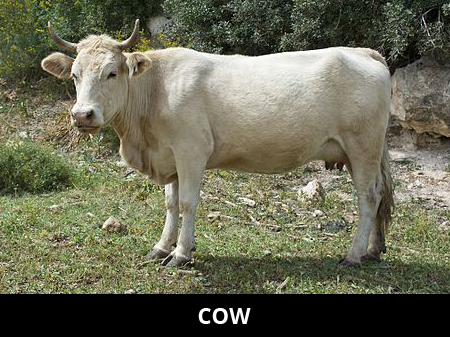 When we talk about cows, it can actually be a little confusing. The technical name for this type of animal is cattle. Young cattle are called calves until they become adults. Adult females are called cows while adult males are called bulls. 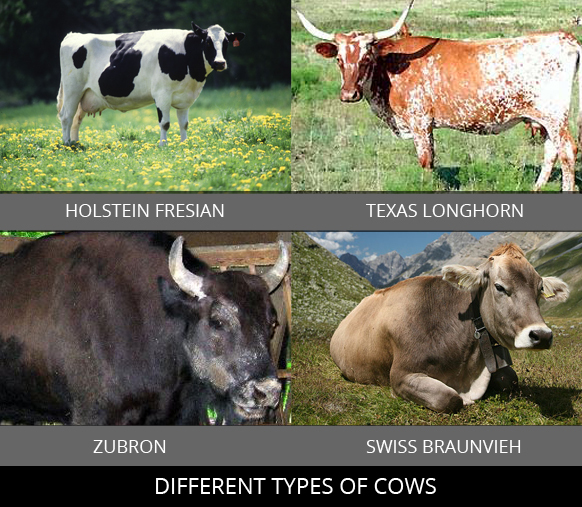 When we use the word “cow” in our article, we are talking about all of these different kinds of cattle in general. What are characteristics of a cow? 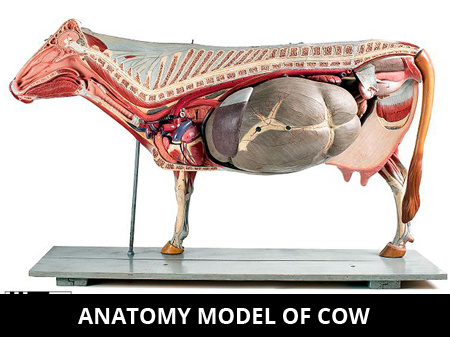 Cows are known for their special type of stomach- one stomach with four different compartments (and you thought you could eat a lot)! Each of these has its own purpose in helping the cow eat and digest its food. Cows have hooves on their feet and can weigh up to 4,000 pounds. Males can have large horns on their heads while females will have udders. Cows live in a lot of different countries around the world. They are usually found on farms or ranches, and some kinds still live in the wild. Cows prefer to have a space where they can spread out and eat plenty of food. They also need a place where they can drink a lot of water. Cows drink about a bathtub full of water every day. That would be one big water bottle! What do cows like to eat? Thanks to their special stomach, cows are able to eat a lot of different kinds of tough plants and grasses. When a cow eats, it first swallows its food without chewing, and stores it in one of its compartments. Once it finds a quiet place to continue, it vomits the food back up (yuck!) and slowly chews it into tiny pieces that are easy to break down. It then swallows this food once again and it’s stomach is able to digest it. Makes you hungry, doesn’t it? What do we use cows for? 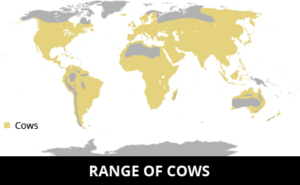 Cows have a huge variety of uses all over the world. Thousands of years ago, cows were actually one of the first forms of money, and people would use them to buy and trade things. Today, cows are mainly used for food items like beef, veal, and dairy. They are also used for bullfighting, bull riding, animal shows, and rodeos. In some parts of the world, cows are considered sacred and special, so they are not eaten. Whether you have your own farm with cows, or only enjoy their delicious dairy products, cows are an important part of our community and world. From the days of being used for money, to the days of showing off at state fairs, cows have played a huge role in how people interact with each other. These amazing animals are udder-ly fantastic.